Zululand District Municipality, with its green hills of rich soil, waving grasslands, abundant forests, and an unhurried lifestyle, borders on the Kingdom of Swaziland, a trading partner of South Africa. The major towns of Vryheid and Ulundi are both well located in relation to the national road and rail networks. Route P700 between Ulundi and Richards Bay is a development corridor that will facilitate eco-tourism, agricultural activities and business opportunities. The district's local municipalities comprise èDumbe, uPhongolo, AbaQulusi, Nongoma and Ulundi. Approximately half of the area is under the jurisdiction of traditional authorities, while the remainder is divided between commercially owned farms and conservation areas. Zululand's rich diversity of wildlife attracts many tourists, both international and local. The Hluhluwe-Umfolozi Park, the largest reserve in KwaZulu-Natal, is a popular destination for big five sightings, and its rhino conservation programme is well known. The Ithala Game Reserve offers an extraordinary experience of geological diversity as the rock formations found here date back 3 000 million years. 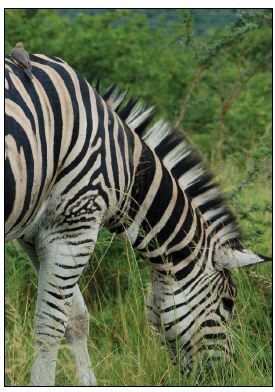 Zululand is also home to the second oldest reserve in the world, the Pongola Game Reserve. Approximately half the Ulundi Municipal area consists of commercial farms and the area supports a substantial agricultural community. Ulundi town represents the only urban area in the municipal area and therefore plays an important role in the provision of social and economic facilities to the total population of Ulundi. The city lists as positive investment potential, a large and stable labour force, stable political environment, low crime rate, competitive land prices and service charges, accessibility to export markets via Richards Bay, accessibility to the rest of South Africa by rail, road and air, a good local infrastructure, excellent primary, secondary and tertiary educational facilities and good hotel and conference facilities. Ulundi lies at the hub of the old Zulu Kingdom and the sector is considered to be hugely underdeveloped with many of the cultural resources not being capitalised on. The tourism attractions include game reserves, historical and cultural sites, cultural events and guest lodges. Historical and cultural sites include Nodwengu (King Mpande's residence and grave), Ulundi Battlefield, and Piet Retief's grave. The KwaZulu Cultural Museum houses interesting displays relating to Zulu history and archaeology. The beehive huts and the layout of the original Zulu village have been reproduced. The eMakhosini Conservancy (Valley of the Zulu Kings), birthplace of King Shaka, is the venue for a new tourism and economic development project, which includes several historical sites. The joint publicprivate sector project aims to preserve the culture and history of the Zulu people. Nongoma Municipality is the second largest municipality in terms of population and the second largest in terms of area. It shares its name with the town of Nongoma, the seat of the municipality. The municipality is the home of King Goodwill Zwelithini, the hereditary traditional leader of the Zulu nation, and his royal palaces are among the main tourist attractions in the region. èDumbe Municipality is situated in the north western part of KwaZulu-Natal. Only 23% of the municipality's population live in an urban area while 77% live in the rural hinterland of the municipality. Most rural settlements developed organically and are unplanned, lack basic services and facilities and provide limited opportunities for economic development. Forestry and agriculture are the two key economic activities. The dominant farming practices are forestry, livestock farming and maize production. Many commercial and manufacturing activities have developed as spin-offs from them. There is a small manufacturing sector in Paulpietersburg / éDumbe (41 ha with 21 industrial sites), and an important informal sector providing a convenience service to the public. Agriculture and tourism form the basis for the uPhongolo Municipality's economy. Located substantially around Pongola and the Pongola River, the municipality contains significant areas of commercial agriculture. The activities take mostly place in areas of flat to reasonable topography providing opportunities for irrigation. While much of the agricultural activities consist of sugar cane farming, smaller areas are under citrus and crop planting. Tourism remains one of the key economic development sectors of the uPhongolo Municipality. 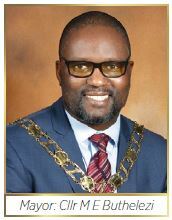 The municipality will continue to establish an environment conducive to the development of the tourism industry. The uPhongolo Municipality has within its area of jurisdiction two key tourism attractions, viz. the Ithala Game Reserve and the Pongolapoort Dam. These attractions are complemented by many private game farms and game reserves on which several lodges and other tourism related facilities are located. Battlefields Route, its conference potential, ecotourism and outdoor adventure events. Vryheid is small enough to give a taste of the country and yet large enough to provide the infrastructure for all the essential modern conveniences. Vryheid's natural diversity is a great draw-card. It is an ecotourism delight. There are numerous game farms, sites of conservational significance, heritage sites and other areas of beauty and interest. "We, the people of Zululand are proud communities that are committed to the development of Zululand through hard work, integrity and a common purpose." We stand for Excellence in Delivery to remain the best DM in the Province.